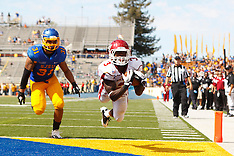 September 24, 2011; San Jose, CA, USA; The San Jose State Spartans defeated the New Mexico State Aggies 34-24 at Spartan Stadium. 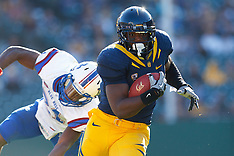 September 17, 2011; San Francisco, CA, USA; The California Golden Bears defeated the Presbyterian Blue Hose 63-12 at AT&T Park. 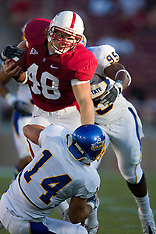 September 3, 2011; Stanford, CA, USA; The Stanford Cardinal defeated the San Jose State Spartans 57-3 at Stanford Stadium. 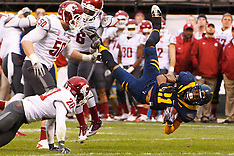 January 9, 2011; San Francisco, CA, USA; The Nevada Wolfpack defeated the Boston College Eagles 20-13 in the Kraft Fight Hunger Bowl at AT&T Park. 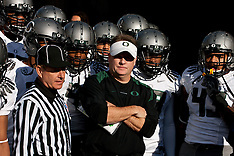 December 4, 2010; Corvallis, OR, USA; The Oregon Ducks defeated the Oregon State Beavers 37-20 at Reser Stadium. 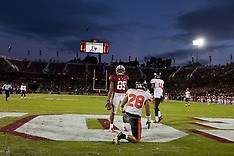 November 27, 2010; Stanford, CA, USA; The Stanford Cardinal defeated the Oregon State Beavers 38-0 at Stanford Stadium. 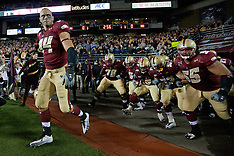 November 20, 2010; Chestnut Hill, MA, USA; The Boston College Eagles defeated the Virginia Cavaliers 17-13 at Alumni Stadium. 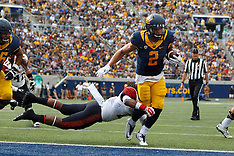 November 13, 2010; Berkeley, CA, USA; The Oregon Ducks defeated the California Golden Bears 15-13 at Memorial Stadium. 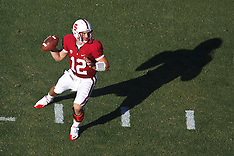 November 6, 2010; Stanford, CA, USA; The Stanford Cardinal defeated the Arizona Wildcats 42-17 at Stanford Stadium. 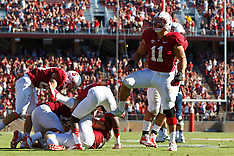 October 23, 2010; Stanford, CA, USA; The Stanford Cardinal defeated the Washington State Cougars 38-28 in NCAA Football at Stanford Stadium. 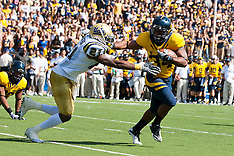 October 9, 2010; Berkeley, CA, USA; The California Golden Bears defeated the UCLA Bruins 35-7 at Memorial Stadium. 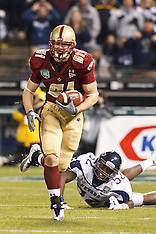 October 2, 2010; Chestnut Hill, MA, USA; The Notre Dame Fighting Irish defeated the Boston College Eagles 31-13 at Alumni Stadium. 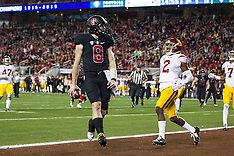 September 18, 2010; Stanford, CA, USA; The Stanford Cardinal defeated the Wake Forest Demon Deacons 68-24 in NCAA football at Stanford Stadium. 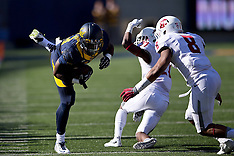 September 17, 2010; Reno, NV, USA; The Nevada Wolf Pack defeated the California Golden Bears 52-31 at Mackay Stadium. 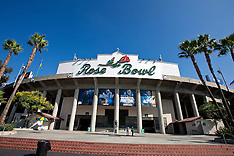 September 11, 2010; The Southern California Trojans defeated the Virginia Cavaliers 17-14 in NCAA football at Los Angeles Memorial Coliseum. 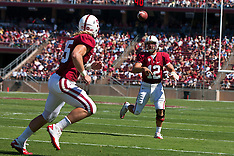 September 4, 2010; Stanford, CA, USA; The Stanford Cardinal defeated the Sacramento State Hornets 52-17 at Stanford Stadium. 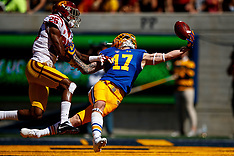 Dec 26, 2009; San Francisco, CA, USA; The Southern California (USC) Trojans defeated the Boston College (BC) Eagles 24-13 in the 2009 Emerald Bowl at AT&T Park. 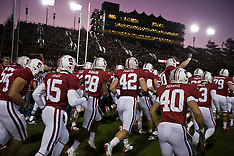 November 28, 2009; Stanford, CA, USA; The Stanford Cardinal defeated the Notre Dame Fighting Irish 45-38 in NCAA football at Stanford Stadium. 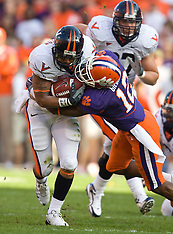 The Clemson Tigers defeated the Virginia Cavaliers 34-21 at Memorial Stadium in Clemson, SC on November 21, 2009. 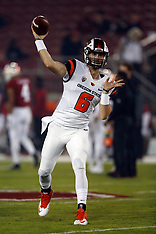 November 7, 2009; Berkeley, CA, USA; The Oregon State Beavers defeated the California Golden Bears 31-14 in NCAA football at Memorial Stadium. 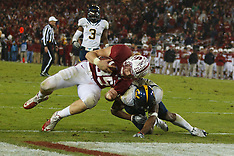 October 24, 2009; Berkeley, CA, USA; The California Golden Bears defeated the Washington State Cougars 49-17 in NCAA football at Memorial Stadium. 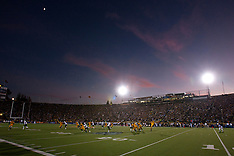 October 10, 2009; San Jose, CA, USA; The Idaho Vandals defeated the San Jose State Spartans 29-25 in NCAA football at Spartan Stadium. 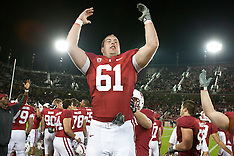 September 26, 2009; Stanford, CA, USA; The Stanford Cardinal defeated the Washington Huskies 34-14 at Stanford Stadium. 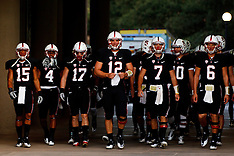 September 19, 2009; Stanford, CA, USA; The Stanford Cardinal defeated the San Jose State Spartans 42-17 in NCAA Football. 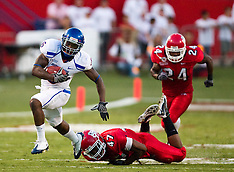 The Boise State Broncos defeated the Fresno State Bulldogs 51-34 at Bulldog Stadium in Fresno, California on September 18, 2009. The Virginia Tech Hokies defeated the Virginia Cavaliers 17-14 in NCAA football at Lane Stadium on the campus of Virginia Tech in Blacksburg, VA on November 29, 2008. The Clemson Tigers defeated the Virginia Cavaliers 13-3 in NCAA Football at Scott Stadium on the Grounds of the University of Virginia in Charlottesville, VA on November 22, 2008. The Wake Forest Demon Deacons defeated the Virginia Cavaliers 28-17 in NCAA Division 1 Football at BB&T Field on the campus of Wake Forest University in Winston-Salem, North Carolina on November 8, 2008. 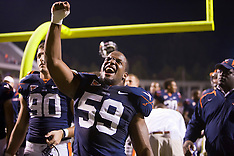 The Miami Hurricanes defeated the Virginia Cavaliers 24-17 in overtime at Scott Stadium on the Grounds of the University of Virginia in Charlottesville, VA on November 1, 2008. The Virginia Cavaliers defeated the #18 ranked Georgia Tech Yellow Jackets 24-17 in a NCAA Division 1 Football game at Bobby Dodd Stadium on the campus of Georgia Tech in Atlanta, GA on October 25, 2008. 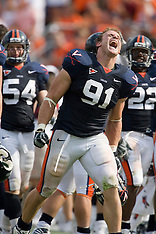 The Virginia Cavaliers defeated the #18 ranked North Carolina Tar Heels 16-13 in overtime in NCAA Football at Scott Stadium on the Grounds of the University of Virginia in Charlottesville, VA on October 18, 2008. 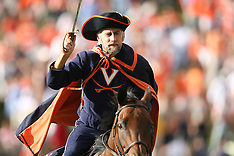 The Virginia Cavaliers defeated the East Carolina Pirates 35-20 in NCAA football at Scott Stadium on the Grounds of the University of Virginia in Charlottesville, VA on October 11, 2008. 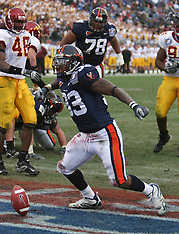 The Virginia Cavaliers defeated the Maryland Terrapins 31-0 at Scott Stadium on the Grounds of the University of Virginia in Charlottesville, VA on October 4, 2008. 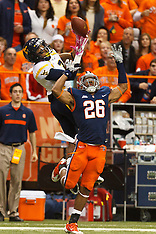 The Connecticut Huskies defeated the Virginia Cavaliers in NCAA football 45-10 at Rentschler Field in East Hartford, CT on September 13, 2008. 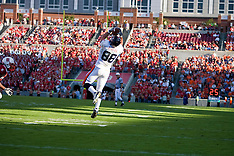 The Virginia Cavaliers defeated the Richmond Spiders 16-0 in a football game head at Scott Stadium on the Grounds of the University of Virginia in Charlottesville, VA on September 6, 2008. 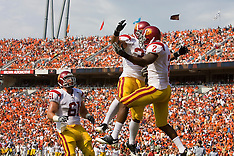 The #3 ranked USC Trojans defeated the Virginia Cavaliers 52-7 at Scott Stadium in Charlottesville, VA on August 30, 2008. 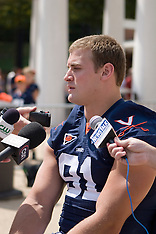 Photographs from the Virginia Cavaliers football team open practices on August 9, August 14, and August 16, 2008 at the Turf Field at the McCue Center on the Grounds of the University of Virginia, Charlottesville, VA. 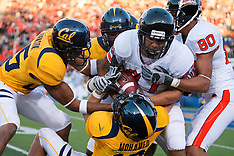 The Texas Tech Red Raiders defeated the Virginia Cavaliers 31-28 in the 2008 Konica Menolta Gator Bowl held at Jacksonville Municipal Stadium in Jacksonville, FL on January 1, 2008. The #8 Virginia Tech Hokies defeated the #16 Virginia Cavaliers 33-21 at Scott Stadium in Charlottesville, VA on November 24, 2007. 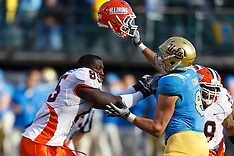 The #19 Virginia Cavaliers defeated the Miami Hurricanes 48-0 at the Orange Bowl in Miami, FL on November 10, 2007. 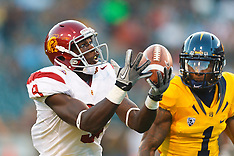 This was the final game in the 70 year-old Orange Bowl. 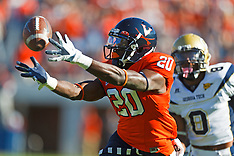 The #23 Virginia Cavaliers defeated the #24 Wake Forest Demon Deacons 17-16 at Scott Stadium in Charlottesville, VA on November 3, 2007. 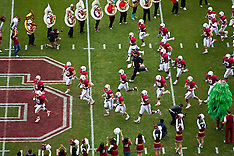 The NC State Wolfpack defeated the #15 Virginia Cavaliers 29-24 at Carter Finley Stadium in Raliegh, NC on October 28, 2007. 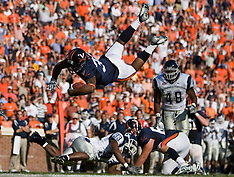 The Virginia Cavaliers defeated the Connecticut Huskies 17-16 at Scott Stadium in Charlottesville, VA on October 13, 2007. 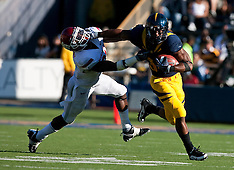 The Virginia Cavaliers defeated the Middle Tennessee State Blue Raiders 23-21 in Murfreesboro, TN on October 7, 2007. 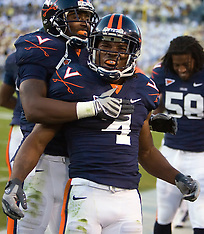 The Virginia Cavaliers defeated the Pittsburgh Panthers 44-14 at Scott Stadium in Charlottesville, VA on September 29, 2007. 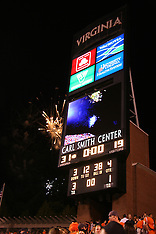 The Virginia Cavaliers football team defeated the Georgia Tech Yellow Jackets 28-23 at Scott Stadium in Charlottesville, VA on September 22, 2007. 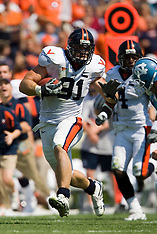 The Virginia Cavaliers defeated the North Carolina Tar Heels 22-20 at Kenan Memorial Stadium in Chapel Hill, NC on September 15, 2007. 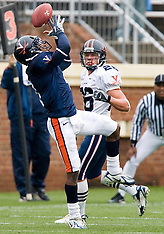 The Virginia Cavaliers football team defeated the Duke Blue Devils 24-13 at Scott Stadium in Charlottesville, VA on September 8, 2007. 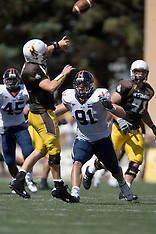 The Wyoming Cowboys football team defeated the Virginia Cavaliers 23-3 at War Memorial Stadium at the University of Wyoming in Laramie, Wyoming on September 1, 2007. 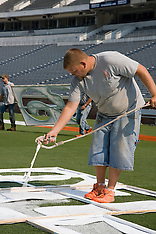 The Virginia Cavaliers football team held their annual "Meet the Team" event at Scott Stadium in Charlottesville, VA on August 12, 2007. 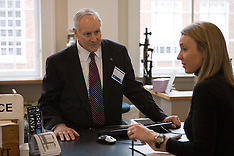 The event was open to the public and gave fans the opportunity to meet the players on the team and get their autographs. 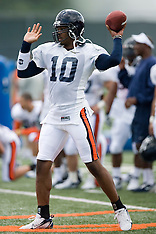 Photographs from the Virginia Cavaliers first open practice of the 2007 season. 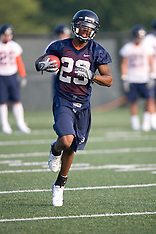 The football team practiced on the practice fields adjacent to the McCue Center at the University of Virginia in Charlottesville, VA on August 10, 2007. 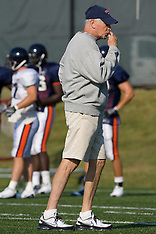 The 2007 Virginia Cavaliers football team opened fall practice on August 6, 2007 at the University of Virginia football practice fields near the McCue Center in Charlottesville, VA. 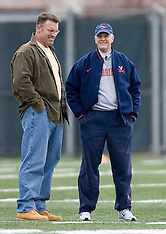 The Virginia Cavaliers football team held their first spring practice at the Turf Fields behind University Hall in Charlottesville, VA on March 21, 2007. 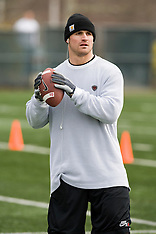 Photographs of University of Virginia Football - 2006. 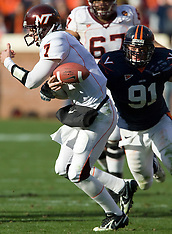 Photographs from the 2005 Virginia Cavaliers football season. 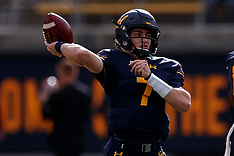 The Virginia Cavaliers football team defeated the Western Michigan Broncos 31-19 on September 3, 2005 at Scott Stadium in Charlottesville, VA.